Join us for a roundtable and site tour event where we’ll explore the latest innovation in concrete construction: Insulating Concrete Forms (ICFs). You’ll learn how ICFs are helping municipalities, school districts, churches, apartment building owners and other developers provide high-performance concrete buildings at a competitive first cost and low operating cost. At the Hickory Grove CMPD you’ll learn from design professionals and building owners about their experiences designing and building with ICFs. 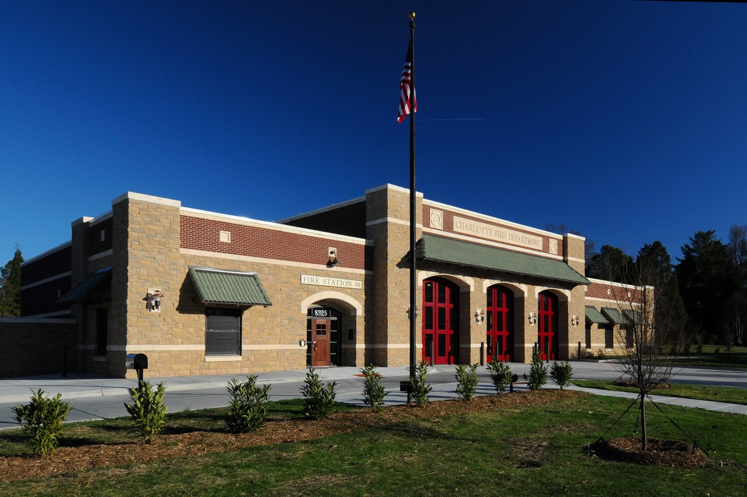 You’ll learn about energy efficient ICF municipal buildings in the Charlotte area including why Charlotte Mecklenburg is only building with ICF for their emergency services buildings. After a roundtable discussion, education and lunch, we’ll take a bus tour of two ICF projects, one completed and one under construction. Who Should Attend: Architects, engineers, municipal officers, managers and directors, school officials and construction managers. Registration Fee: There is no fee for this event. Continuing Education: 4 AIA-CEU Credits will be available.